L.L.L4L.L.L. : "There's no better time to be a TL...."
AND .. there’s no better time to treat yourself professionally …!! Voki, storybird and photopeach are three web2 tools guaranteed to engage your students in their learning. In this workshop, participants will integrate the tools into an instructional unit of work for students. These tools can be used with both primary and secondary students. How are you going to use the National Year of Reading to put your school library centre stage in 2012? Tap into the great programs, fun events, media coverage and celebrity supporters, and let’s use this opportunity to help students discover and rediscover the joy of reading. By using Edmodo, a secure forum together with personal student blogs, our students are?connecting and collaborating and so gaining a real world perspective together with an authentic audience for their work. Students today consume, create and make sense of content via a range of mobile digital technologies. This workshop will discuss feedback from a classroom trial of iPads as well as exploring the innovative features the iPad and various Apps can play in enhancing and engaging students in learning. 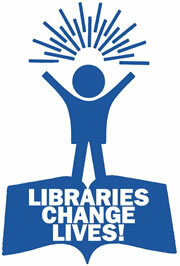 Looking for fresh, practical, easy ideas to transform your library? While time and money may be limited, imagination is not. Starting tomorrow, how can you develop your 21st century school library as a quality learning space, a welcoming sanctuary, a positive and encouraging resource centre supporting your students and staff? My Place (2008-1778): a multimodal destination that brings to life Australian history through the ‘eyes’ of children. It is a resource that traces the diversity of Australia and the many cultures that have enriched an Australian way of life. Payment by is accepted on the ASLA site.